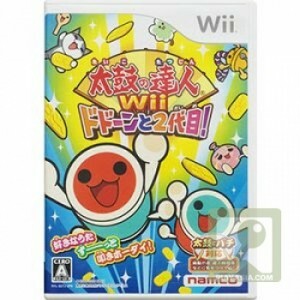 Další Taiko no Tatsujin na Wii – Dodoon to 2 Yome! Zítra (19.11.2009) vychází druhý díl TNT na Wii. Nese název: Taiko no Tatsujin Wii Dodoon to 2 Yome! Play to the rhythm of seventy songs, for the first time in the Taiko series, lyrics are shown with the cues, get your friends and family to sing along while you play the drums. Join in the game through your Miis. Taikos are played during festivals, dance along and be merry with all the Taiko characters in this festive occasion. Songs from famous games and anime such as Super Mario Brothers and Doraemon show up, meet your childhood friends again and have fun with them. 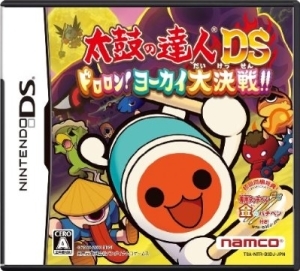 You have a mission, you have to develop baby taiko Watadon, the more frequent and the better you play, the faster Watadon grows up and can start composing songs for you or unlock sound effects. Seek to become the best Taiko player and take up challenges or receive new songs through the Taiko Mail Services. A krátká reklama na YouTube.